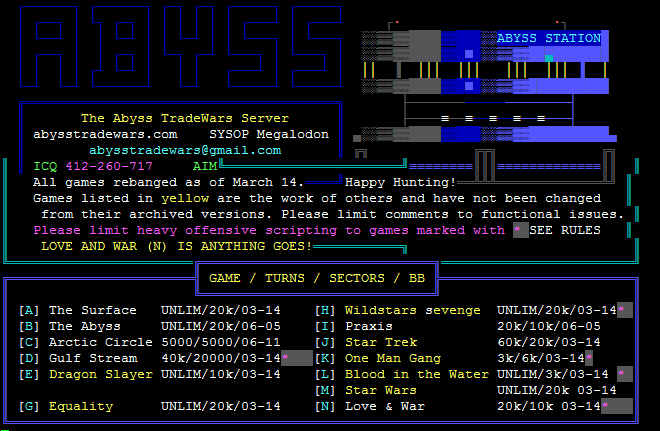 MicroBot is the multi-threaded scripting engine that collects game statistics and settings from TradeWars Game servers and Bulletin Boards. MicroBot is written in C# and uses the .net CodeDom runtime compiler to script a telnet session. You can see what MicroBot has been up to lately in the logs below.